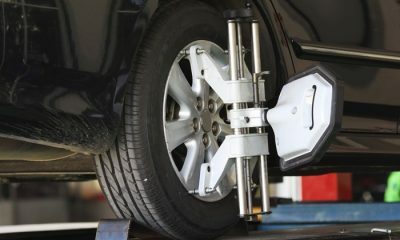 Tire tune-up includes tire balancing, tire rotation, and brake inspection, tire pressure check, tread depth check, and TPMS reset. Not valid for vehicles with modified or reconstructed suspensions or for vehicles over half-ton. Extra fees apply for shop supplies, hazmat fee, and GST. Most vehicles eligible; some vehicle restrictions apply. Waiting area amenities: free Wi-Fi, satellite TV, and complimentary beverages. Promotional value expires 120 days after purchase. Amount paid never expires. Appointment required, same day appointments accepted. Not valid for vehicles with modified or reconstructed suspensions or for vehicles over half-ton. Extra fees apply for shop supplies, hazmat fee, and GST. Most vehicles eligible; some vehicle restrictions apply. Not valid for vehicles that require front end work. Limit 1 per person, may buy 2 additional as gift(s). May be repurchased every 90 days. Limit 1 per visit. Subject to availability. Must use promotional value in 1 visit(s). Valid only for option purchased. Merchant is solely responsible to purchasers for the care and quality of the advertised goods and services. Click here to buy nowor for more information about the deal. Don’t miss out!